It was great - helpful staff, got my picture framed and out the door in about an hour by doing a lot of it myself, which was super fun! Framer’s workshop was amazing!! They did a beautiful job on the picture and everyone who worked there was so nice, helpful, and fun! The staff at Framer's Workshop was great, very helpful and understood our vision. A great find that we were not previously aware of. Very helpful and personalized experience, but expensive. I LOVE Framers' Workshop. I've been going for years, and they're unfailingly polite and helpful. Everyone is super friendly and helpful. It was fun putting together my own frame! (With lots of help). Staff is great. Knowledgeable, patient and friendly. Really nice, patient, knowledgeable people. I framed my art myself (with a lot of help) and It was actually very engaging and relaxing to do this kind of project. It's very different from what I do on more typical days. Prices are very reasonable and it's a relaxed atmosphere with cool music playing. Framers' Workshop is such a fun, laidback environment where you can create art by framing art! These folks have an expert level of knowledge and keen aesthetic eyes. They really help you with good ideas and new ideas to make your framing project all the better. I have made framed projects and dropped off framed projects and I always been satisfied. Awesome store. The people are very friendly. Framers' Workshop is a fantastic place. The staff are all amazing. They were so helpful and really knowledgeable. I'm thrilled with the accessibility and craftsmanship available to finish my framing needs. Great shop. Very friendly and knowledgeable staff. They are genuinely trying to do what is best for their customers. They don't try to up-sell you at all. Framers’ Workshop is a great place ! I’ve patronized it for years. 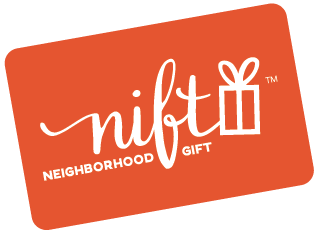 Having the Nift discount was like “icing on the cake”. Pricey, but I was able to frame an old family painting that I know will be preserved for a long time. 5. Framers workshop is staffed by knowledgeable people. Truth is, I don't quite know yet. I dropped off a couple of framing projects to be done, and I will pick them up next week. Everyone I dealt with today was smart, professional and cordial. But in terms of actual results, the jury is still out. Feel free to contact me again toward the end of next week and I will be glad to fill out the form below. Friendly, competent - really happy. I went at a crowded time so it was slow , but they clearly give each customer full attention and time to choose among options. Everyone was super friendly and helpful, there was a decent selection of in-stock frames and mats, and their prices were competitive. Great place to do your own framing! The staff are so helpful. I had a great experience and enjoyed the process of framing the picture myself, with help. I would not have considered doing this without the gift certificate. Wonderful place with both professional framers and do-it-yourself workbenches. They go the extra mile to try out frames and mats. We would not have thought of going to Framers' Workshop if we had not received the NIFT gift certificate, but we're very glad we did. The staff was vey welcoming, helpful, and professional. We saved more than 35% with the gift certificate, and they cheerfully deducted the savings for us. On top of that, they are LGBTQI friendly! I had some artwork to frame and had been putting it off. When I got the gift from Nift, I went to Framers Workshop, and they were very helpful. They spent time helping me to choose a mat and frame, and although it was expensive, I was able to do it thanks to the certificate. I'd highly recommend FW to anyone.